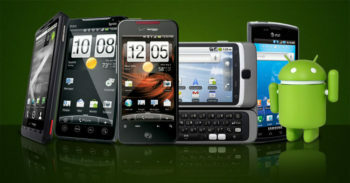 In our high-tech social networked world, we have come to the point where you are expected to own a smartphone. But not everyone can afford the prices of the latest and greatest phones. But its amazing how new technology has advanced over the past few years, which resulted in the fact that you can get a decent smartphone without overpaying or spending all your money on new purchase! It’s about time to start looking for Christmas presents for the people you love and care about. Why not considering getting them a new affordable cell phone with preinstalled mobile spy to make sure that there is no inappropriate activities going on and they are safe and sound? In this article, we will review best 3 devices from the low-cost Android phones niche that will be a perfect gift for the Christmas! Be less than $350, and fully unlocked. It is the much awaited successor to the previous Nexus 4 model is here, and it is the most powerful gadget on this list so far as well as the most expensive one, with the price of $349 for the 16GB model. The Moto G will get to US only in January, but this awaited device is available in many countries around the world, including the UK. Xperia L combines both style and capability for the reasonable price! Finally, the devices that are reviewed in this article will be a great present for the Upcoming Christmas holidays. Do consider getting them for the people you care about!